Petition to Philadelphia DHS: End racial, income & education bias in the child welfare system! Action Alert! Calling on all organizations and individuals! Action Alert! Defend the Hill family from racial, income, gender & education bias in the child welfare system! Sign the petition demanding DHS return two girls unjustly taken from their aunt who was their full time caregiver. Not being a high school grad or having a GED must not used as a reason to remove children from their caregiver! sign the petition and ask your organization to endorse the campaign. show our DHS Give Us Back Our Children video to your community and invite Ms. Hill to speak or ask your university to show it. Click here to purchase video. volunteer at the Crossroads Women’s Center and/or to accompany Ms. Hill and/or other mothers and caregivers to court or meetings. circulate the RISE Out of Poverty Act petition which has a provision for prioritizing resources for families over the removal of children. Make a donation – no amount too small or too large! 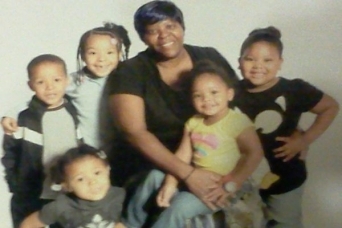 Friday May 17 – Support May Hampton’s right to raise her grandchildren! Action Alert! Your support needed at trial! Contact us to let us know if you can go to court on Friday afternoon!